This Sonoma County version of the classic, Greek cucumber salad is my pick for an accompaniment to a meal of garlicky lamb and Pinot Noir. The base of a Tzatziki recipe is the aphrodisiac of cucumber. You may think cucumber is just a crunchy, water-packed fruit of summer. (And yes, cucumber is actually a fruit, not a vegetable.) But cucumber is considered by some nutritional experts to be a culinary fountain of youth. 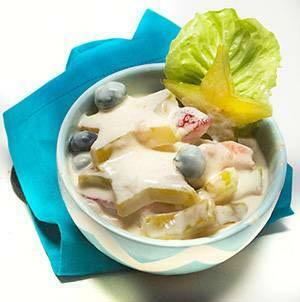 It contains an ingredient called silica. Silica supports connective tissue health which is vital to flexibility, coordination and overall hotness. 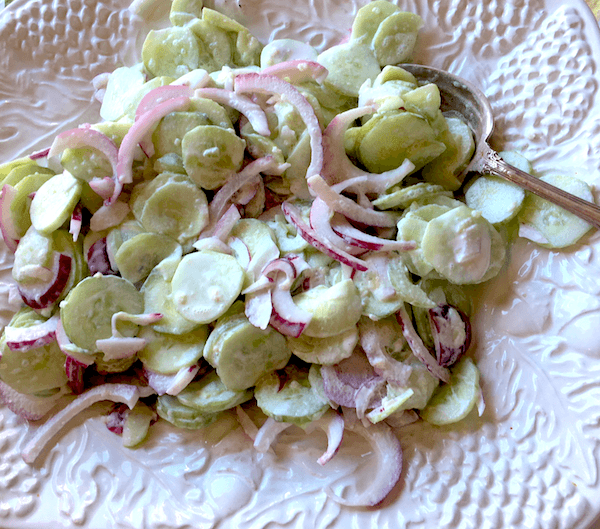 If that doesn’t have you craving a great Tzatziki recipe, perhaps viewing the rest of the menu will whet your appetite for this garlicky cucumber salad. 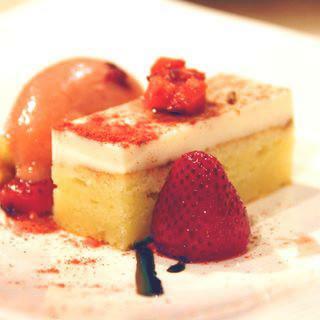 The recipe was created as a part of my very first Wine Salon. 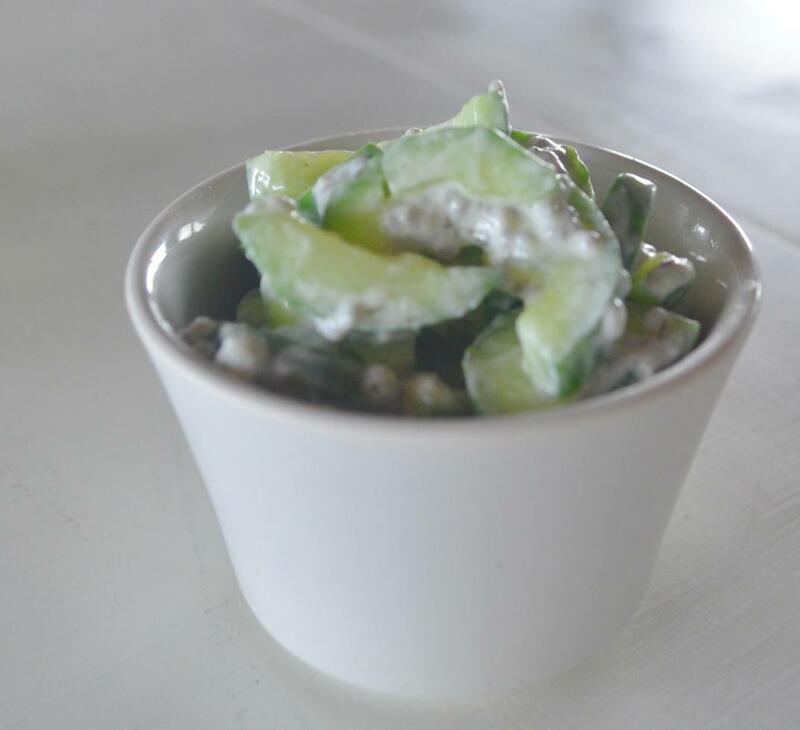 Oh, and if you want the full experience, be sure to serve this stunning cucumber salad with Ketcham Estate wines! This simple Tzatziki melds the bounty of Sonoma County with the bold flavors of Greece. 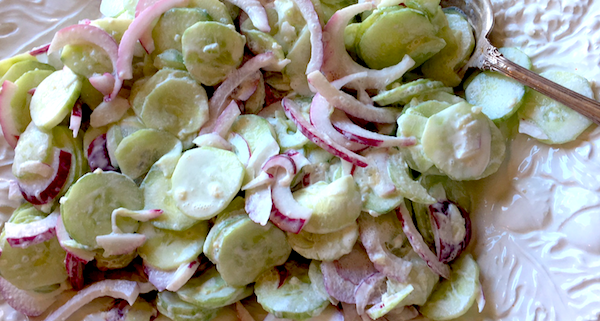 Place sliced cucumbers and onion in large mixing bowl. Add the minced garlic and salt to a small bowl. Mash together with a fork. Add sour cream and vinegar. Mix well. Pour over cucumber and onions and toss to throughly coat. 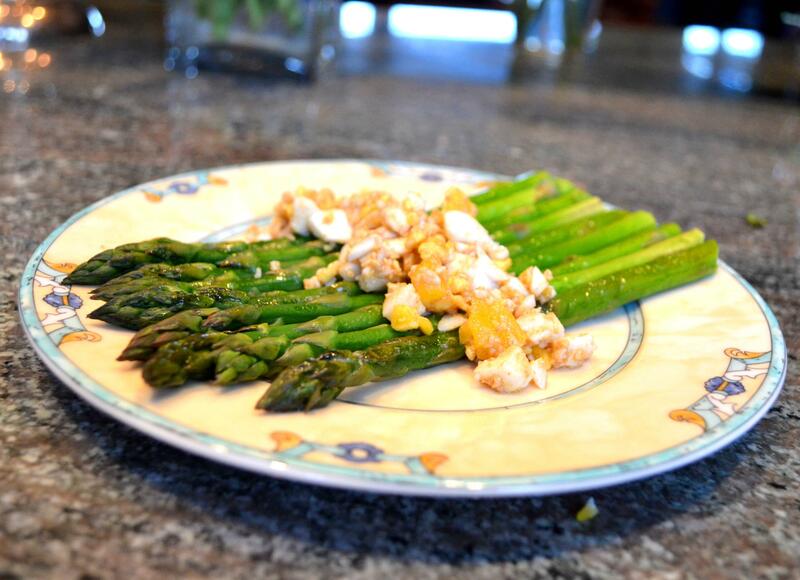 Season with salt and pepper and perhaps Tajin seasoning before serving.